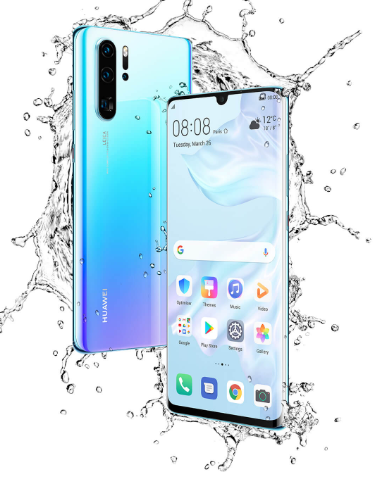 Chinese multinational telecomm equipment and consumer electronics producer Huawei expanded their lineup of smartphones by releasing their latest flagship devices P30 and P30 Pro back in March this year. And this month, the P30 series’ mid-range device P30 lite also joined the club. On OS terms, while both Huawei P30 and P30 Pro come baked with Android 9.0 (Pie) and EMUI 9.1, P30 lite comes with Android 9.0 and EMUI 9.0. Coming to the SoC, P30 and P30 Pro are shipped with HiSilicon Kirin 980 (7 nm) chipset compared to P30 lite’s Hisilicon Kirin 710 (12 nm). Although the devices are barely a month old, but as is the ritual, bugs and issues spare none, and same is the case with Huawei P30. 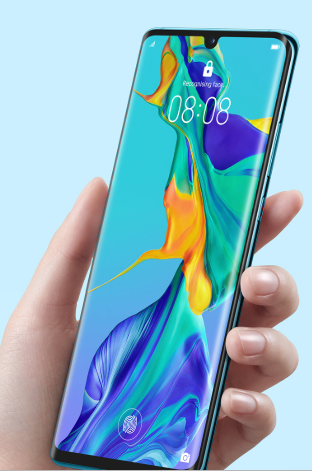 As some of you may already know, Huawei P30 comes with an in-display fingerprint sensor – a currently popular feature that other OEMs’ flagships like Honor View 20, Samsung S10/S10+ and OnePlus 6T also embrace. Here’s a glimpse of the Huawei P30 series. But going by reports across different social media platforms, Huawei P30’s fingerprint sensor icon is behaving out of order and is acting a bit buggy. Basically, Huawei P30 users have been complaing that their device’s fingerprint icon keeps blinking randomly even when the phone’s kept idle. That means, there is no particular pattern as the fingerprint sensor icon blinks intermittently. The weird behavior wherein fingerprint sensor icon keeps popping up on its own is making users curious about sensitivity of the device’s screen and battery consumption. Sadly, we don’t have a P30 phone at the moment to test the problem behavior at our end. In addition, we didn’t come across a video or any other kind of proof that clearly shows the problem. But going by the number of reports, it’s safe to say that the problem is affecting a lot of users. Is the issue a known one? What’s appeasing is the problem has been officially acknowledged by a Huawei employee at the company’s official UK forums. They not only confirmed the issue but also informed users that the same shall be fixed with the May update next month. We hope the promised fix gets delivered soon. But unless that happens (which will be in next month), there’ no workaround as such that may temporarily resolve the issue. Rest assured, we are keeping an active tab on all developments and will update the story as and when required. BTW are you facing the fingerprint sensor blinking issue that has discussed here? If so, then drop a comment and share your observation with us. Soon after we published this story, one of the Huawei P30 users who themselves have been facing the fingerprint icon blinking glitch on their unit contacted us and shared with us a couple of video clip showcasing the problem behavior. Here’s another video (a longer one) that displays more frequent blinking of the fingerprint sensor icon (15 second onward). Thanks for sharing with us the video clip @Punyawee Sukrongpang . This phenomenon will not affect the normal use of fingerprint function, please rest assured. We have solved this problem and expect a new version to be released later. Please wait patiently for system updates. P.S. Huawei Mate 20 Pro users have been reporting that Work profile on their devices gets locked after every update and throws invalid pin error. Head here to read the complete story. NOTE: Found this story interesting? We have covered several other Huawei-related stories in the past. You can access them by heading here.